All throughout that July afternoon, we were getting away from the rain like sodden wayward birds. On one occasion, we cozied into an already crowded coffee shop as we waited for the torrential rains to abate. When we deemed the rain to be only just a drizzle, we decided to head out again, only to be caught up with the strong showers a minute into our hopeful presumption. That time, we only had the wee roof of a bus stop as our shelter. As we huddled under it along with some locals who had similar fate with us, something briefly went inside my mind. What if we randomly took a bus that would lead us to God-knows-where? I doubted Breinn would be elated with such an idea though. So, I promptly dropped the thought before I could suggest it to him. I then told him that the War Remnants Museum was only halfway around the block, making us to quickly decide to proceed. We ended up scurrying the rest of the way towards the museum as I caught a glimpse of an approaching local bus. I might have let go of a sigh. When we got ourselves inside the museum, we couldn't care less of the rain anymore because we already got the museum's roofs as our perfect hideaway from the rain. What more could we ask for, right? But our relief was only short-lived. We didn't realize that the museum would evoke another sodden feeling, which was not tangible but which came from inside. It was not something we could dry off easily, try as we might probably. 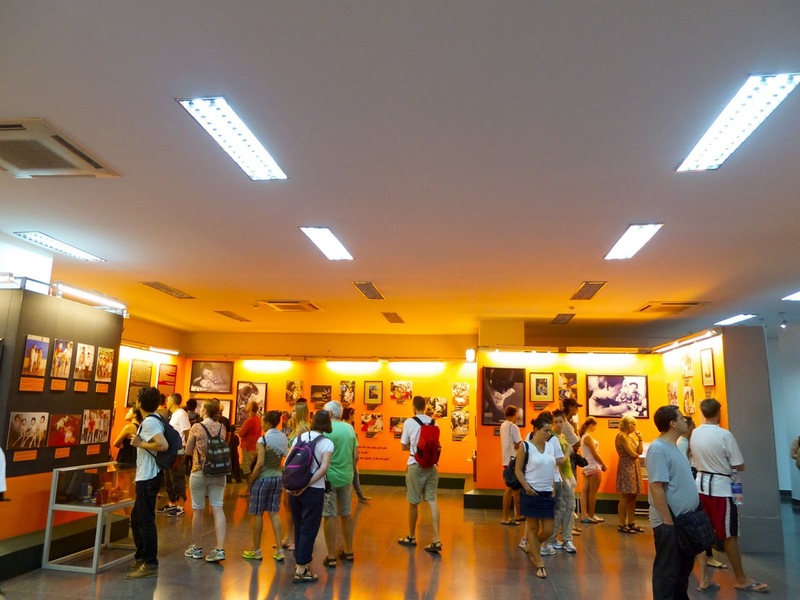 War Remnants Museum has 4 floors and it has both permanent and temporary exhibits. The route of the visit starts at the top floor where heartbreaking photos of the deplorable effects of Agent Orange can be found. And I couldn't bring myself to take a photo of the graphic images for it was just too much to internalize all at once, especially images of distraught and disfigured children. 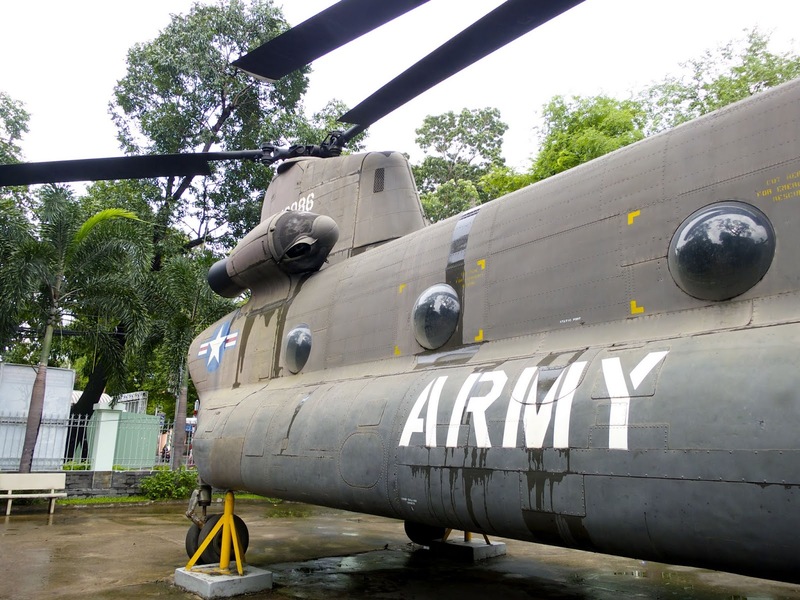 Agent Orange was the biological warfare used during the Operation Ranch Hand of the US Army during the Vietnam War. The herbicide was sprayed over farmlands which brought effects even to the future generations. 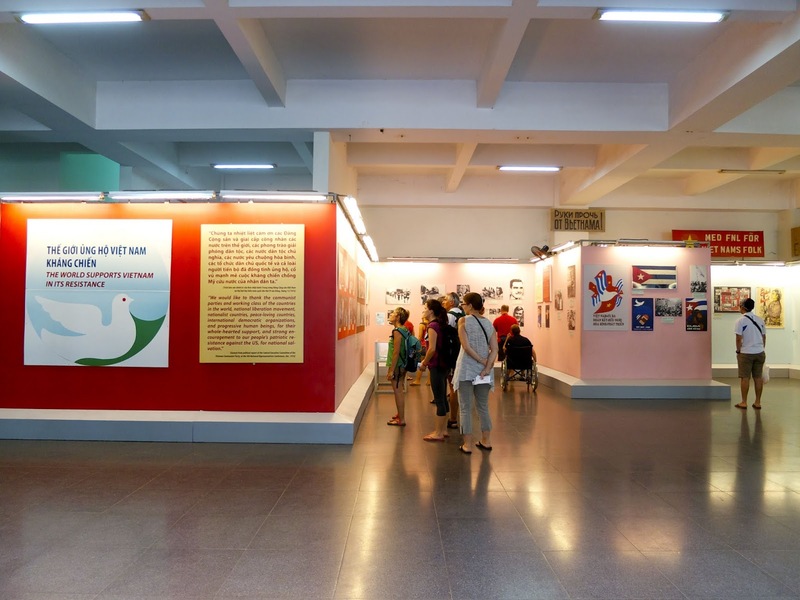 The other two floors exhibit another set of riveting photos of the Vietnam War, depicting the plight of the civilians including women and children. 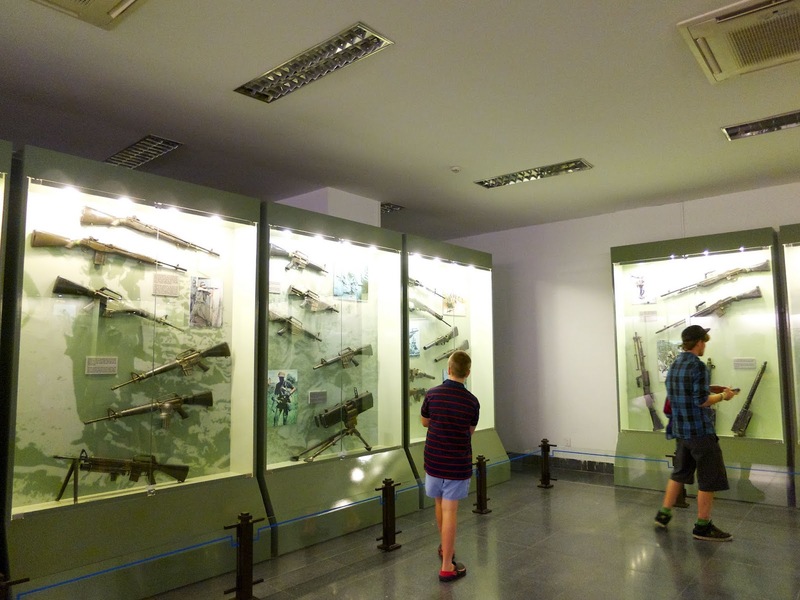 There is also a display of almost all sorts of guns, said to be used during the war. The ground floor is sort of a redemption of whatever inexplicable distress one may have felt towards the exhibits in the upper floors. 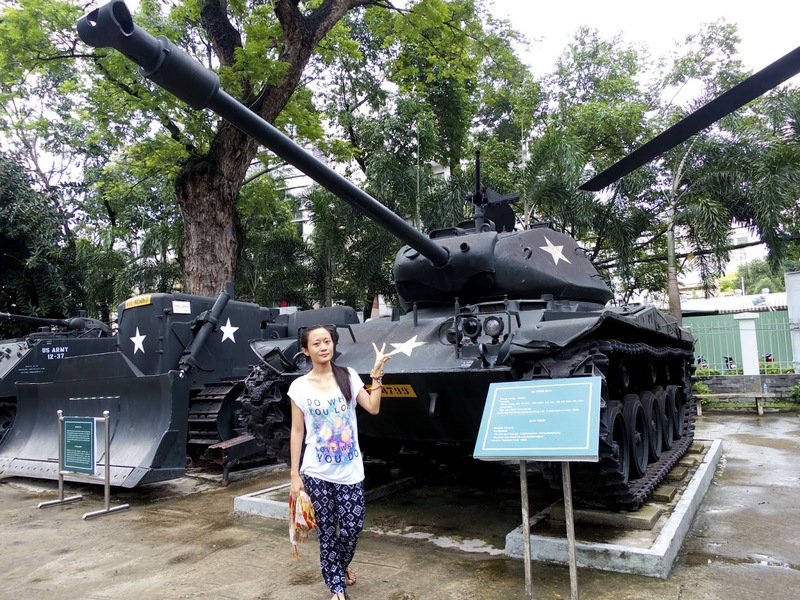 It shows the road to recovery of the Vietnamese people and the acknowledgement of their own strength in fighting for what they believe in, as well as the support of other communist countries. 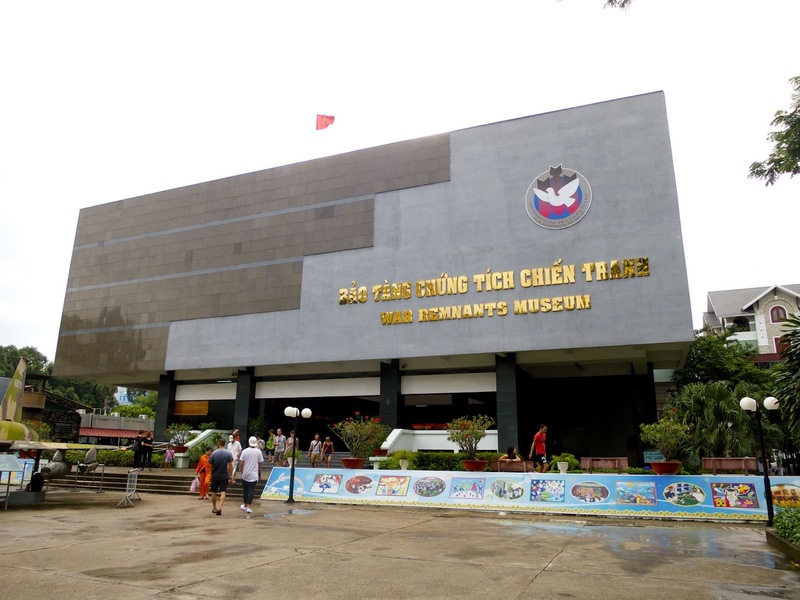 The museum gives Breinn and I, a different perspective from what we have been taught or known outside of Vietnam. 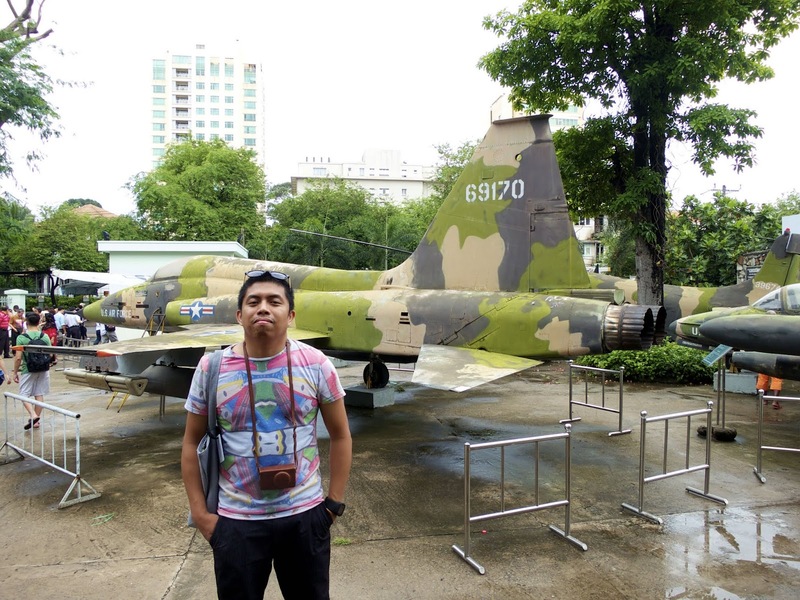 I have read comments that the museum is biased but I think, such view will never downplay the realities of what the war has done to those involved, much more to the Vietnamese people. Because the peace sign is all the more appropriate.